Is it Safe to Move My Cat to Singapore? What better way to get a new perspective than to move to a foreign country? Here at Starwood, one of the questions we hear most from people relocating internationally is, “Is it safe to move with my cat overseas?” We understand. Your move wouldn’t be complete without your four-legged family members. But you want them to be safe, too. 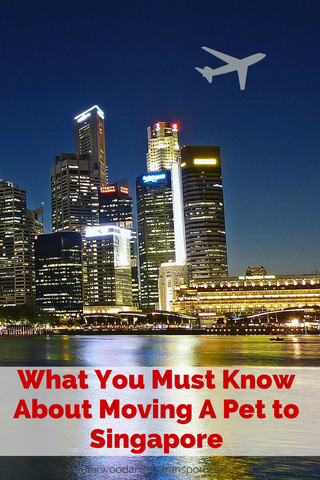 Singapore is a country well-known for having very strict rules about many things. Pet importation is one of them. If you’re planning a move to Singapore and wish to take your four-legged family with you (and what pet owner doesn’t want that? ), your first call should be to an international animal transport company that is experienced in moving pets to Singapore. 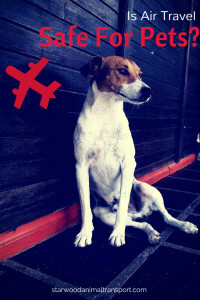 Is Air Travel Safe For Pets? At some point in all the excitement of learning you are moving a long way from home – perhaps to a far-away foreign country – you have probably stopped to wonder if air travel is safe for your pets. You certainly want to take your four-legged family members with you, but will they be OK with the journey? Meow! 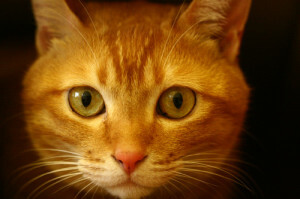 I’m Leo the Domestic Short Hair Cat. I’m from Galveston, Texas and I like spending most of my time indoors. Even though I live by some pretty nice beaches, the ocean frightens me and I try to be isolated as much as possible. Since I’m always by myself or in hiding, I don’t spend much time with my owner. Let’s just say I’m not a “people person”. However, I know my owner loves me because there is always fresh food in my bowl and constant kitty litter to do my business in. I like spending time usually in dark places where I can sleep or explore my house. I never like leaving certain rooms in my house because I feel uncomfortable and out of my element. With all of that being said, I could not have been any more furious when my owner told me we were moving to Singapore. UM WHAT? !